Billy Wade Perry (Wade) of Hickory, NC is a 62-year-old man who is very ill and needs our help. He is a father of four and a grandfather of five. In 2014, he got sick and was later diagnosed with idiopathic pulmonary fibrosis (IPF). IPF is a disease in which tissue deep in your lungs becomes thick and stiff, or scarred over time. As the lung tissue thickens, your lungs can’t properly move oxygen into your bloodstream depriving your brain and other organs of the oxygen they need. For Wade to survive, he is going to need a lung transplant. The cost of transplantation can be extremely overwhelming. Wade grew up in Wilkes County, North Carolina and has worked in textiles all his life. He has always been a hardworking family man willing to help anyone. He got married in 1979. Until recently he was like the energizer bunny always going and going. Unfortunately, that’s not the case anymore as Wade now struggles to breathe and doesn’t have the energy to do the things he would like to do. Together, we are committed to seeing him through this lifesaving transplant. Wade is a such fantastic man. He is intelligent, funny, likes to tell jokes and have fun with the family. He loves spending time with his grand-kids, and doing things outside. Wade needs our help. Transplantation and follow-up medications and treatments are very expensive. Even with insurance there are pre-transplant and post-transplant costs which include relocation for Wade and his caregiver closer to Duke University Medical Center where he will be transplanted, post-transplant anti-rejection medication he will need to take for the rest of his life and medical costs. These alone could top $20,000! To help with the financial burden of uninsured expenses, a fundraising campaign has been established in honor of Wade Perry with Help Hope Live, a trusted nonprofit organization that has been providing community-based fundraising guidance to help patients and families in need for more than 30 years. 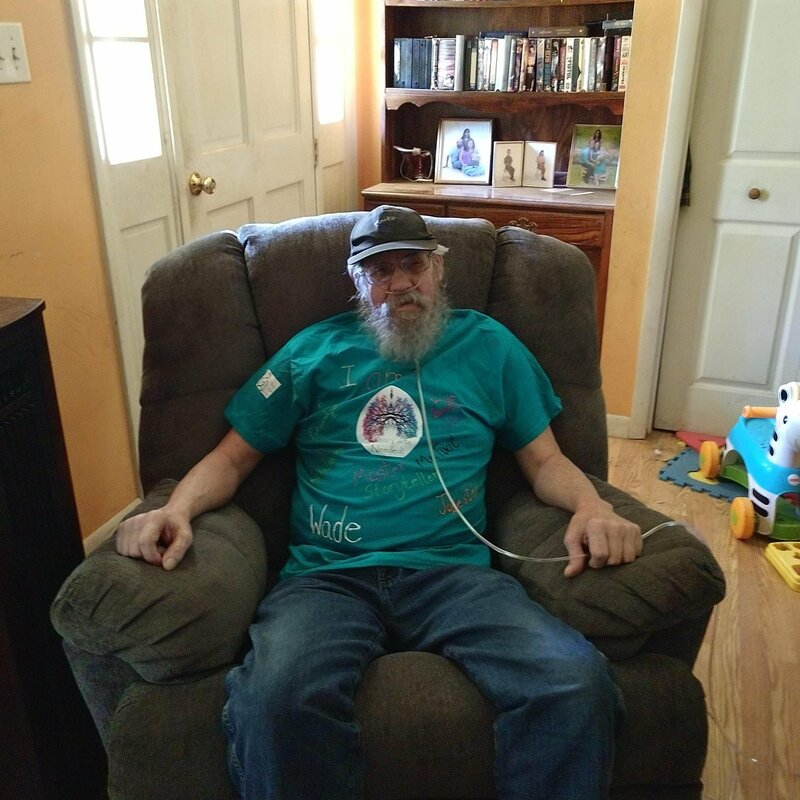 All donations are tax deductible to the full extent allowed by law and are held by Help Hope Live in the South-Atlantic Lung Transplant Fund in honor of Wade Perry. Donations are allocated by Help Hope Live based on financial need for medical expenses. Please consider making a contribution today. Wade was relocated around November 1st to get ready for transplantation. At the time of his relocation he had to undergo lots of different tests and therapy and various other things involving the transplant. He went through all the tests and processes to get ready for the transplant and was placed on the transplant list on December 7 2018. After he was placed on the list he got his first call for the transplant on December 23 2018 unfortunately it was a dry along with three other calls after that. On December 31st he received another phone call to come to the hospital for the transplant. After being there all day and all night the surgery was done on January 1st. He has had his roller coaster with various things going wrong with different parts of the body some worse then others. Now he is doing much better and is soon scheduled to get out of the hospital.